Rules to be followed when investing in stock markets!!!! Nothing is difficult when you put a small effort. Stock Market is no exemption. One of the best ways of making money doesn’t come free. There are a few rules you need to follow before you make money in the markets. Following these rules is surely gonna make you rich and happy. 1) Only invest spare money. Investment is putting your spare money into good use and earning profit out of it. Investment is not done using borrowed funds. Investment is not done out of money needed for your house hold expenses. Invest only the money which you can spare. Investing in stock market is a long term venture. Although short term profits can be seen, you need to have patience to hold a stock for a longer term in order to enjoy the fruits of your investment. Some stocks rise over a long term but are steady. Most stocks that show short term growth get stuck after a point of time. 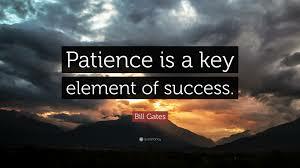 Be patient and the profit will come. 3) Fundamental analysis tells you which stock to buy. Fundamental analysis is the study of the financial statements of a company and understanding how strong the company is in terms of its assets and earnings. Always remember to do fundamental analysis before you buy any stock. A company with a strong financials can give you a good return whereas a company with a weak balance sheet may not rise much. 4) Technical analysis tells you when to buy the stock. Once you have completed fundamental analysis and decided to buy a stock then its time to do technical analysis. Technical analysis shows you when to buy a stock. Avoid buying at 52 week high and avoid selling at 52 week low. Avoid selling a stock on an up rally and avoid buying a stock on a down rally. 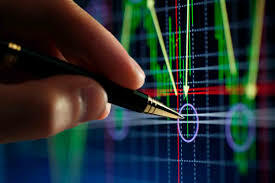 Many other patterns and formations are seen in technical analysis that helps you predict the next move by the stock. Always have a balance of funds between debt and equity. This proportion depends on your appetite for taking risk. If you are young and don’t have much commitments, you can take risk and allocate upto 70 % of your funds in equity and rest in debt. If you are retiring and you need more liquid funds during your old age this % shall reverse. When you are in your mid age where you have lot of responsibility you can allocate 50% each. Systematic Risk is the risk that affects the whole economy. For eg War between two counties, a terrorist attack, natural disaster etc. This risk cannot be avoided and these events will have an impact on all your stock irrespective of which sector they belong to. Unsystematic Risk is risk of a specific stock. This doesn’t have anything to do with other stocks. Eg The results of a Reliance was outstanding. This is a positive news on Reliance stock and will affect only Reliance stock and now any other stock. Unsystematic risk can be avoided using diversification where as systematic risk cannot be avoided. A wise man once said doesn’t lay all your eggs in one basket. This is very true when it comes to investing. There are 1000s of stocks trading in the market. Make sure that your portfolio is well diversified. Here diversified means ensure that your money is allocated in different stocks. 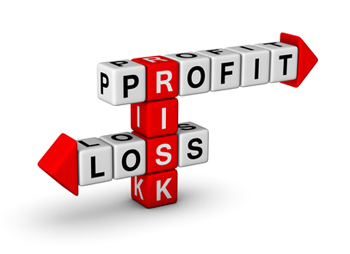 This will ensure that loss from one stock is compensated by the profit of another stock. Diversification is one of the most important aspects of investing in stock market. Follow it well and your portfolio shall always rock. 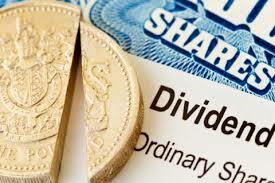 Dividends are also returns that you get from the stocks. Now some stocks give less dividends and some stocks give good amount as dividend. You can analyse and buy stocks based on the dividend history. Dividends are tax free and the important aspect here is that your capital amount invested also appreciates when you receive regular returns in the name of dividends. 9) Understand the business of the company you invest in. Every company would be into a specific business or a bunch of businesses that generate revenue to them. Always analyse the business the company is operating in and find out if the sector is profitable. Further try to find if the company you are investing has a competitive edge over others. A company with a celebrated goodwill is bound to make more profit than others and thereby going to have a higher pricing for its shares than others.